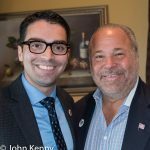 The Queens Republican Party held a “unity breakfast” Saturday, drawing all three citywide Republican candidates, Nicole Malliotakis, J.C. Polanco and Michel Faulkner, Borough President candidate William Kregler and City Council candidates Joe Concannon, Bob Holden and Konstantinos Poulidis. 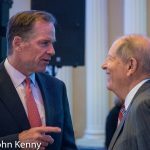 The breakfast drew a small audience primarily composed of Queens GOP district leaders. 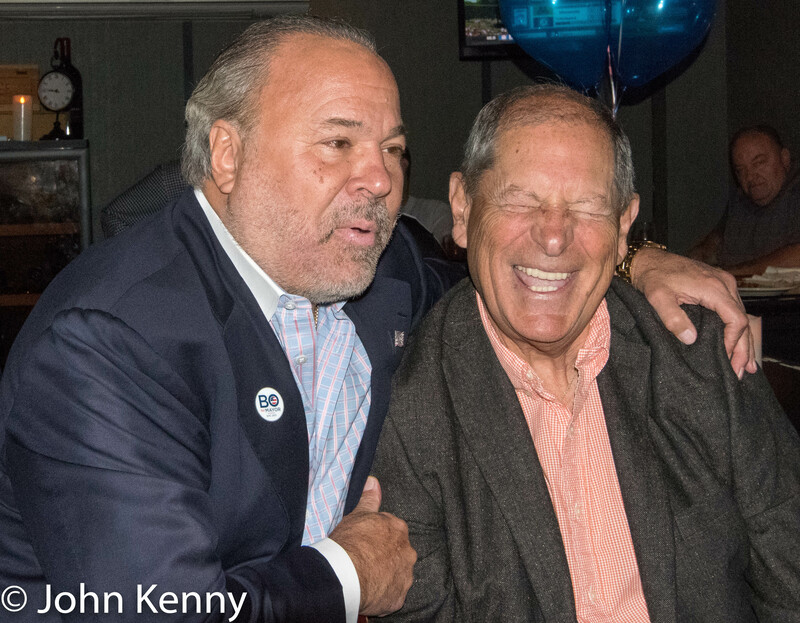 It’s a no-go for Bo in the Republican mayoral primary, as Bo Dietl tweeted this afternoon that he is giving up his renewed effort at obtaining a waiver which would allow him to run in the Republican mayoral primary. 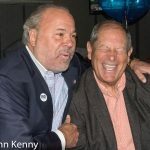 Mayoral candidate Bo Dietl with Queens Republican Chairman Bob Turner, on May 20, 2017. 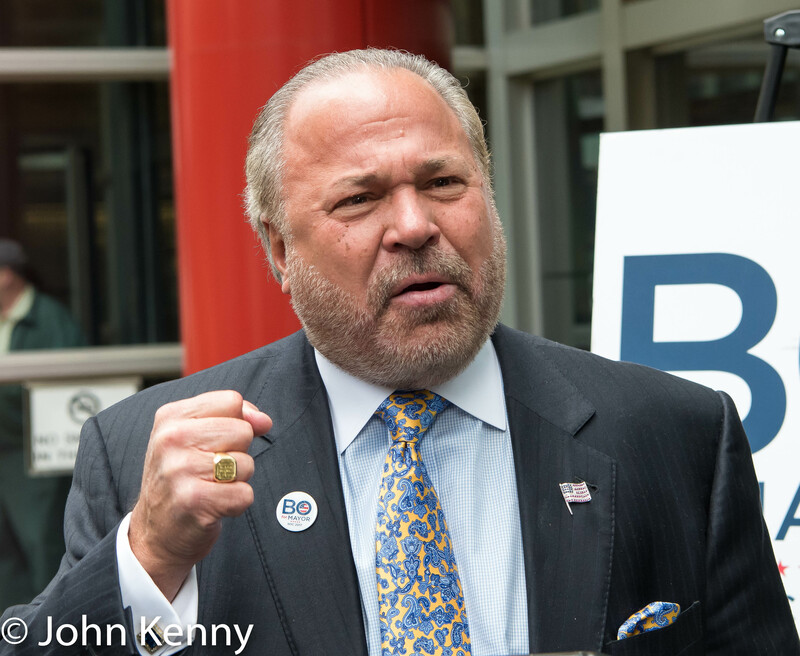 The Queens County Republican Party tonight endorsed Bo Dietl in the race for mayor. 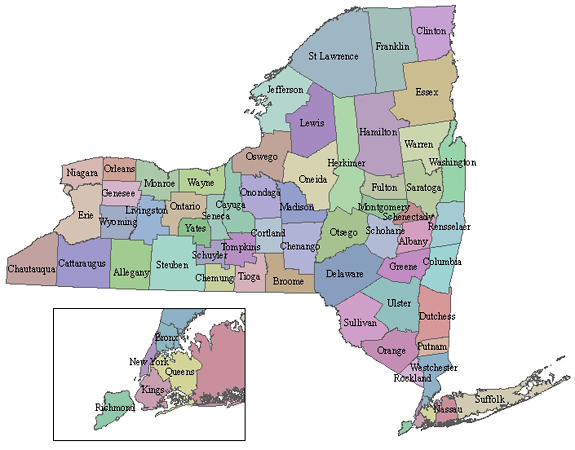 The Queens Republican Party had endorsed Paul Massey, but Massey announced his withdrawal from the race on June 28th. Dietl is not a registered Republican, having muffed an attempt at switching his registration from Republican to Democratic, and sought a Wilson-Pakula early in the race to run in the Republican primary. 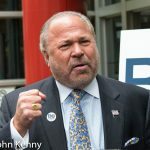 Republican leaders declined to offer Dietl such a waiver then, and the issue appeared completely ended after Dietl lost his lawsuit seeking reinstatement to the Republican Party. 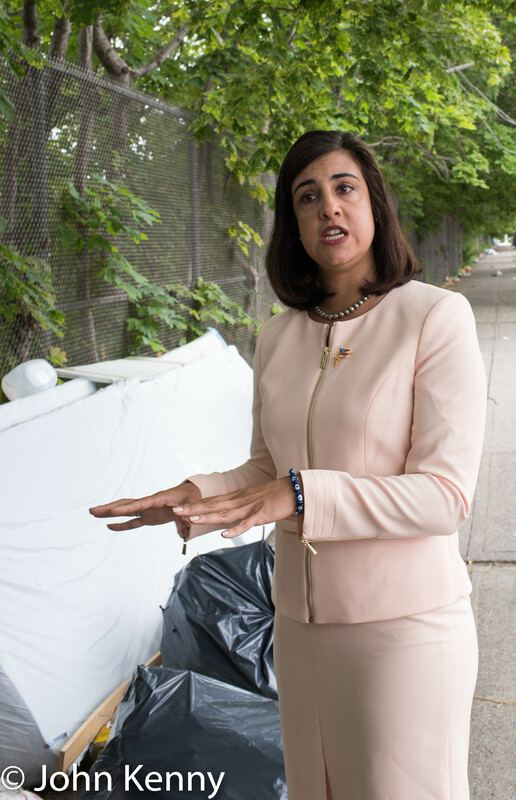 Malliotakis, Massey … & Bo? 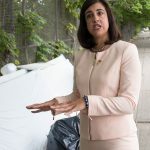 Republican mayoral candidate Nicole Malliotakis offered a gracious farewell to former rival Paul Massey today, but she has not yet received his endorsement or the endorsement of the two Republican County chairman and organizations that supported him. 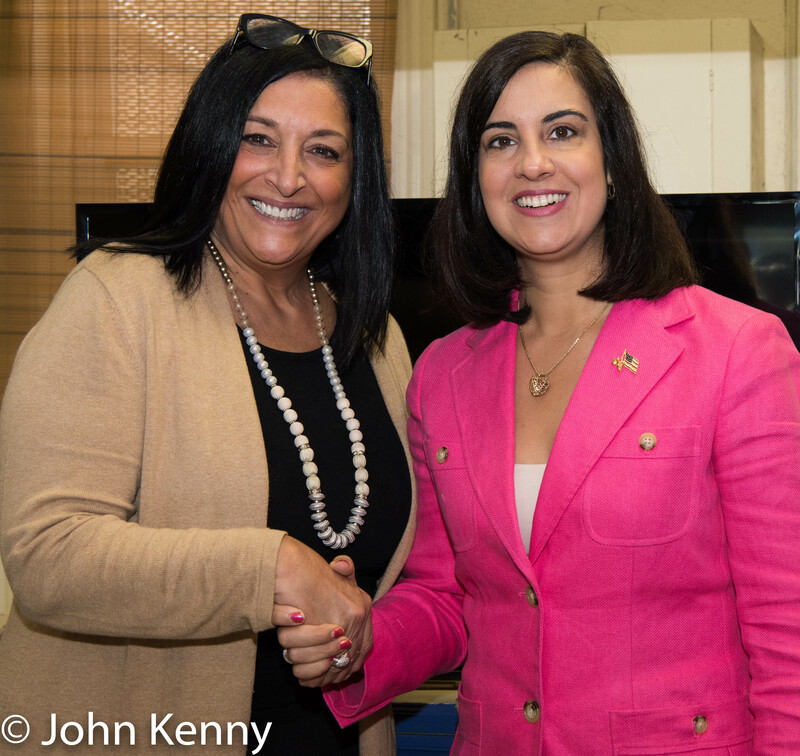 Republican mayoral candidates Nicole Malliotakis and Paul Massey crossed paths at the Queens Republican Party’s Spring Dinner, working the crowd separately and each speaking during dinner Wednesday night. 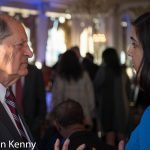 In a bit of fortuitous timing Massey walked into the dinner as Malliotakis explained her late entry into the race as motivated by the fact that “I haven’t seen the passion, I haven’t seen the energy” from the other candidates. 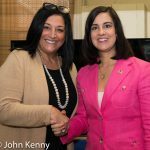 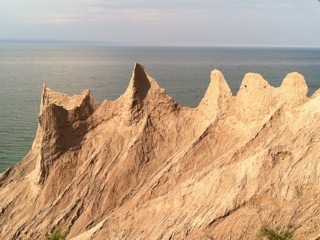 That was as close as they came to any direct debate or confrontation, however.